Winchester commands a brand worthy of respect and recognition among shooters of all traditions. Their contributions to firearm design and cartridge development have helped define many of the standards upon which we depend today. 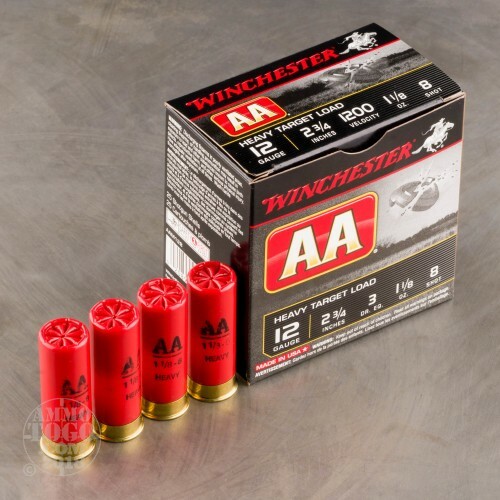 These 12 gauge rounds are no different and draw upon proven data and tested manufacturing methods in order to provide shooters with a heavy load for birds and wingless clay pigeons at an affordable cost. 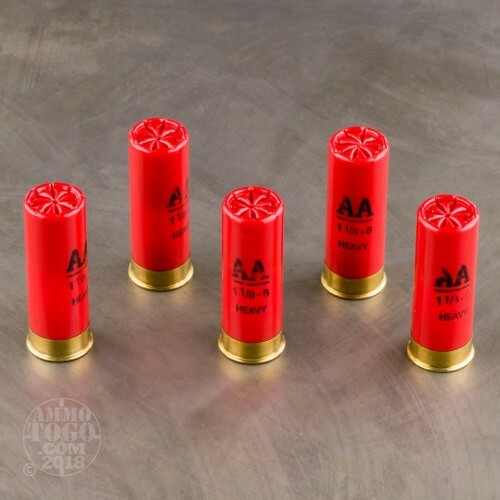 Each of these shotshells uses a high strength hull that measures 2-3/4 inches length which is simultaneously compatible with all tiers of shotgun and optimized with top-shelf wing shooting masterpieces. 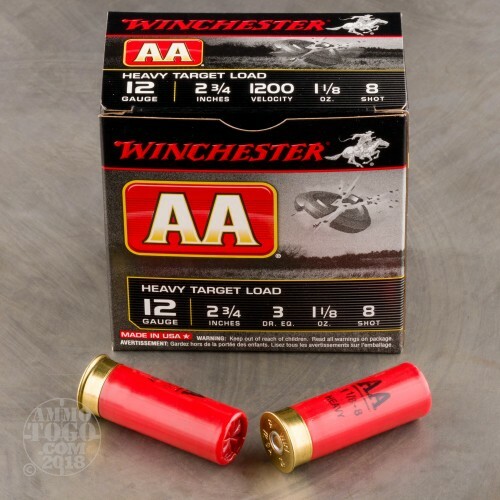 This heavy target load consists of 1-1/8 ounces of hardened lead shot in #8 size; hardened shot more readily maintains its round shape for superior patterning, flight characteristics, and terminal effect. 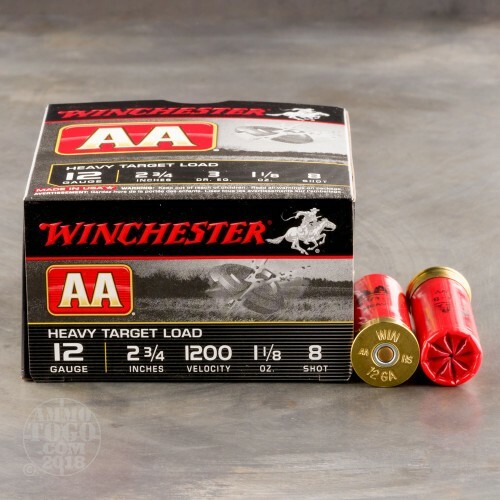 The shot is also protected from flattening by Winchester's famous AA wad which protects the pellets from barrel walls while also cushioning recoil for the shooter and making the most efficient use of propellant gases for maximum clay-shattering, quail-dropping velocity!